I have been blogging for about 2.5 years now. First of all can I just say I can not believe it has been that long! Where does time go! Over that time my blog has grown. And with growing comes more giveaways. I started out using one platform and then another. But there is one I have been using that I will continue. It is easy to use and navigate and my readers have not had any issues following the tasks on it. This entry was posted in Site Review on April 21, 2014 by Kandi. I am one of those weekly meal planners. Or, at least I try to be! But sometimes it is just difficult to try to come up with a menu. You want to make sure you are not having the same things over and over again. Plus maybe want to try something new, maybe you are just starting on a new food plan or starting out on your GF journey. Where do you start? Well eMeals take the guessing out and create comprehensive weekly meal plans! First you choose your plan. You can choose base off of your family size then off of the type of meals you would like. They have anywhere from Classic, to Paleo, to Slow Cooker, to Gluten Free and more! Then you select for how long you would like to receive weekly menu’s. You can add on options like Weekday lunch options, breakfast and a few other things. And then you are done! Each week a new meal plan is sent out in an easy to read format. Meals listed out with prep time, ingredients and directions for cooking! At the bottom is a grocery list with estimated costs! I have been receiving the meal plans for a few weeks now and am loving it. So many great recipes and tips! The meal plans are delivered on Wednesday so just in time for those weekend deals. You can learn more by visiting the eMeal website. You can also find them on Facebook, Twitter, and Pinterest! This entry was posted in Product Review, Site Review on July 28, 2013 by Kandi. Vacation time is over and now it is back to the course I am working on with Improve Photography. I was hoping to finish week 2 before I left, however, I ran out of time. This week focused on, well being focused! They talked about things that can make a picture blurry and where to focus. This one was a lot easier to “grasp” then the whole aperture and shutter speed thing! And, I got a 100% on my quiz this time! This was my attempt at those really cool water pics that you see where it is almost like the water was painted. Motion Freeze- I actually love this picture! Creative Blur- One of these days I will master this so I can do those cool pictures where people are writing with sparklers. These pictures are more my forte. I have always been able to do random shots so this was a bit easier for me to do. It was really hard for me to not just say forget it and put the settings on the automatic one. Although (confession time) I did end up doing that with some of the battles at Gettysburg. This next series I will be learning more about the Digital Photography side of things (RAW vs JPG, Lightroom vs Photoshop type things). I can’t wait to continue learning. This has been amazing so far! Interested in learning more? Visit https://photoclasses.com to see the class line up and what they have to offer. These classes are very affordable and you can do them at your own pace! This entry was posted in photo classes, photography, Site Review on July 7, 2013 by Kandi. An Exciting New Adventure with @ImprovePhoto! It is official! I am one step closer to my dream. I have a passion for photography and my family has always encouraged me to embrace that. Now that I got the camera I knew it was time to learn how to properly use it. But where to start? After doing some research I found Improve Photography. Started by two photographers, Improve Photography is your source to take courses from beginner to business and everything in between! Each course is 30 days and there are 7 courses total! The best part is: it is at your own pace! You can do more then one lesson a day if you would like or you can just follow the day by day outline. It is up to you! So who are the people behind Improve Photography? First there is Jim Harmer. He started to learn about photography in school but a lot of his knowledge comes from being self taught. He started teaching small workshops and community education classes in Florida which lead to the founding of ImprovePhotography.com (his photography blog). The members of the Improve community enjoy his laid back teaching style. His photographs have even been purchase by large corporations and well respected organizations such as Readers Digest and Nikon USA. There is also Dustin Olsen. Dustin is a proffesional photographer in Idaho and is the co-host for the Improve Photography Pod Cast. Not only has he taught online courses on here, but he has taught college level photography classes in a traditional setting as well. Before coming over to join in on the teaching Dustin also ran a small portrait business doing weddings, senior pictures and families. Between these two guys they truly have a lot to offer and I can not wait to get started on learning from them! During the next several weeks I will be sharing my journey and my experience with their courses. I will even try to share some photos from my lessons (when applicable). I will be going through all 7 courses so there is lots to do! I am really excited to be starting this. This honestly is the most exciting thing that has happened to me since my hubby became an LEO. I started calling my family the minute I heard about these classes and that I will be doing them! I can not wait to share it with you as well! You can learn more about the courses and about the two men behind the courses at https://photoclasses.com. Also be sure to check out the blog ImprovePhotography.com. His photos are amazing! You can also find them on Facebook, Twitter and tutorials an their podcast on YouTube! This entry was posted in photo classes, photography, Site Review on June 11, 2013 by Kandi. I wanted to take a moment to introduce you to fellow blogger, Isabella. I say she is the track of all trades because well- She can sew, she does photography (and amazing job at that), she blogs and she does graphic designs, oh and is a rep for Origami Owl! I met Isabella doing a hobby we both love- Civil War Reenacting. That is where I have learned of her killer sewing and her beautiful dresses! Maybe if I win Publish Clearinghouse I will hire her to be my reenacting seamstress (she doesn’t know that yet so shhh). She also does amazing photography! You should check out her amazing Photo Challange Series! I love viewing her pictures and hope that I can get as good as her some day! Isabella’s recent adventures landed her the title of an Origami Owl Rep. I posted about Origami Owl for mothers day. They are those beautiful Living Lockets where you can choose which charm you put in your pendent. She is really excited about this adventure so be sure to check that out! She also did my favorite follow buttons (the butterfly with the stamps to the right) for me and has made a few buttons for some events for me. The latest design she did for me was for a watermark. I am starting to learn more about photography and am looking into going to school and she was kind enough to make me a simple yet elegant and professional water mark. The problem was- she gave me two that were too cute to choose from! Aren’t those cute?!?!?! I still can not decide what I like the best. I love the top one because it is simple and will grow with the business (once I start it after I take some classes). But the butterfly is fun! Decisions, decisions. Her pricing for these are very reasonable as well. For example these watermarks she charges $15. This entry was posted in Site Review on June 7, 2013 by Kandi. BuyCostumes.com is an online costume wholesaler that started in 1999 and has quickly grown! Here you can find products for kids, adults and even your dog year round. With over 10,000 costumes to choose from you are sure to find the right costume! Although, with so many of them being so cute and affordable it may be hard to choose just 1! BuyCostumes.com has a 110% Price Guarantee as well, so if you find the same costume for a lower price just let them know and they will refund you the difference! My son was really excited to get to choose out a costume. We do not celebrate Halloween so this was definitely an every day play one. Being a law enforcement family it came to no surprise when he insisted to find something police. Then he saw it— the Swat Officer costume! I kept asking him if he was sure (originally he wanted a uniform as close to his Daddy’s as possible) but he insisted on this! So we agreed. This outfit was so much fun for him. It came with a helmet, a shirt, a vest, handcuffs, radio, a night stick, and some grenades. The only thing it didn’t have was the pants. So he wears this some old navy pants my nephew out grew. He loves this! He wore it pretty much all day. The accessories are plastic but from what I can tell are durable. The vest is easy to get on and off as the straps velcro in 4 different places. I would say this is a definite win in our house and for $25 is a great deal. He is loving the fact that he is more like Daddy with his handcuffs and his radio. That star above his head now has writing that says Sheriff Danny and where he stands is his toy box with his swat gear neatly arranged on it. He calls it his “office”. Hurry on over to check out their page and check out all the fun costumes! You can also find them on facebook and twitter to stay up to date on any amazing sales and new costumes! Now for the fun! 7 lucky winners will have their chance to win a costume from Buy Costume! Enter to win using the rafflecopter below! 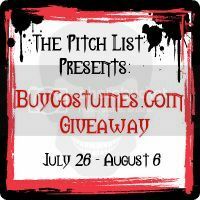 Then hop on over to some of the other blogs listed to see what costumes they selected! Giveaway will end on 8/6 at 12:01 am EST. This entry was posted in Product Review, Site Review on July 26, 2012 by Kandi. For those who have been around awhile know how much I love photography and want to learn more! So when I came across the opportunity to try out a few courses I jumped at it! Essential Photography School is a really easy to follow online photography course. This site was amazing. I love how you can go at your own pace. There is no “homework” to turn in. In the amount of time I had to review I learned a lot about the rule of thirds and some other shooting/croping techniques. I learned about placement of the object which was something I never really thought about (I am just a click on the fly type of girl). The videos are very short and to the point. Which was good because I tend to lose my train of thought lol. It was nice to be able to pause in between lessons and do what I needed to do. I also loved how I was able to do the lessons once my kids were in bed so I was uninterrupted. One of my other favorite aspects- to do these it is $10/month! So much better on the pocket book! My goal is to hopefully finish these lessons so I can learn more- it will depend on what my pocket book allows. I am glad I had the opportunity to learn what I did get through though! This entry was posted in Site Review on July 7, 2012 by Kandi. Over the past few weeks Danny has been trying out a new educational website Tropic Mind. The website makes learning fun for kids. The content on this site is created by educators and covers physics, the humon body/health, Geography, Astronomy, Math and more! Parents can easily log in to verify what their child is doing, and the site is constently being monitored for inappropriate usage. Kids can even notify the staff of content that is not wanted by a simple button! You travel around on a boat from island to island- you even have your own where you can have your avatar change outfits, keep a pet and more! My son loves the games one here. They keep him interested and he likes how you can do thing like raise a pet in between learning. The pet thing is something that teaches kids things like- clean up after it, give it a bath, play with it, kind of like those giga pets that were around for the longest time (I just aged myself lol). Pretty much if you don’t care for it, it runs away! I liked it for the educational fact- it was challenging for my son yet simple as well. One thing I did not like was that they had a world chat that anyone who is a member can get into and you can send messages to other players. I felt that was not really appropriate for my 6 year old (I discovered by seeing a message from some girl telling him hi) but when I asked if there was a way to shut it off they were quick to respond. They have disabled it as a whole until they can figure out how to make it so the parents can choose to have it off or on. Other then that I think it is a great site and would continue to let my son use it. With my son’s birthday coming up I was starting to think about things like, OK what theme do we want, how many people. You know the typical party planning questions. Then I got an email telling me about a site called The Party Works. The Party Works is an online retailer for party supplies for anything from Birthday’s to Wedding Showers to Baby Showers. They also have a wide range of cake decorations to choose from. With over 7,000 items in stock your items are often ready to ship and can often be shipped same day if the order is placed by a certain time! My son was really excited to get this! The Standard Pack for 8 can be purchased for $28.49. You can also purchase items individual so you can pick that pack of your choice and add to it. They have party favors as well which I plan on going through and picking out some and purchasing some additional items. I love how you pick a theme and it is all right there on one page! 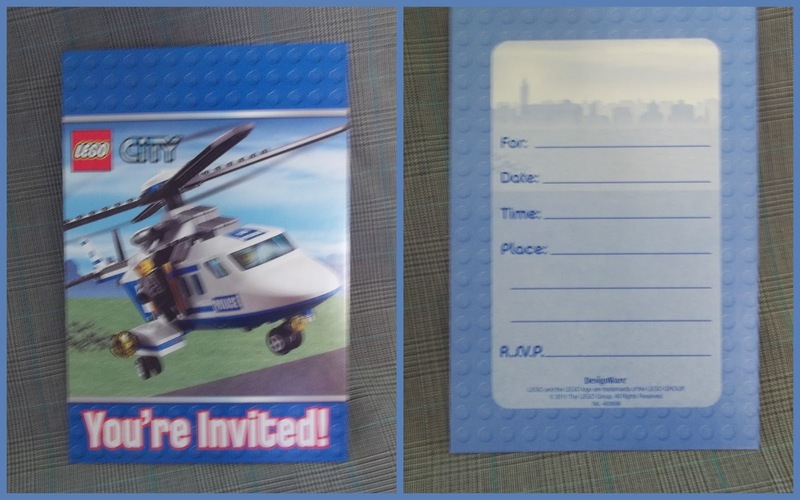 You don’t have to hunt through all the invites to find your theme, or all the plates, ect.. I will also definately use this for my daughters birthday! Be sure to head on over and check out the The Party Works for your next fiesta! It is well worth it and the prices are really decent! This entry was posted in Product Review, Site Review on June 25, 2012 by Kandi.